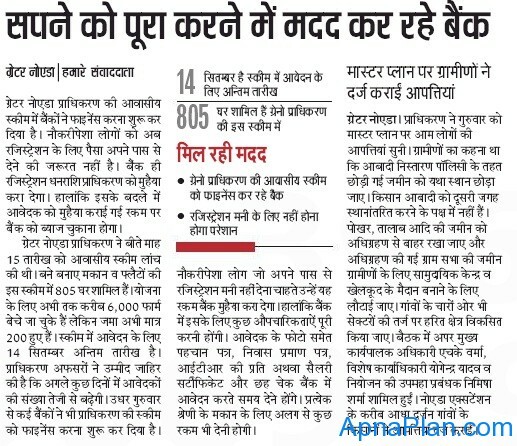 Greater Noida Authority had come out with Independent House/ Multistoried Flats Scheme in Greater Noida on August 15, 2012. I had already written about the same here. The good news is Banks have started financing the earnest money or registration money required for the scheme. You can contact the branch you would get the application form from. Here is the news clipping from One of the Hindi Dailies.